Casa Encantada #8 is part of an historic original Taos family compound whereby the parents would add on a new casita as each daughter married. 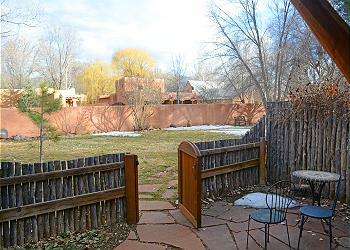 Packed with southwest charm, this 1 Bedroom casita with private "fenced in" flagstone patio connected to spacious green lawn area with shade trees and flowers is noticeably quiet and serene. 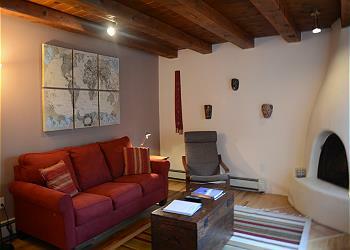 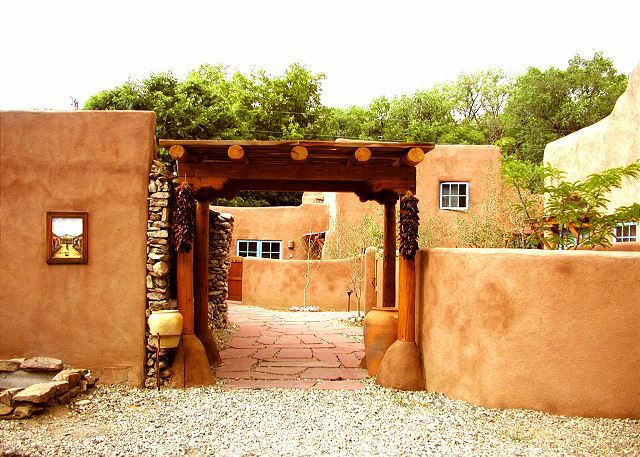 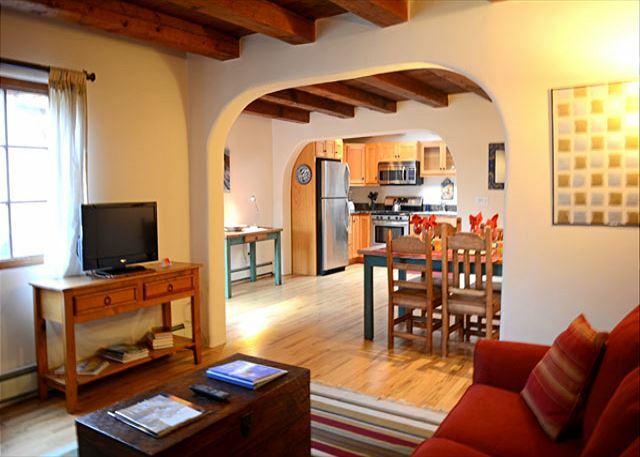 Nestled in a quiet neighborhood, the casita offers off street parking off an ancient tree lined street within a short walk to Taos Plaza, the heartbeat of the historic village of Taos. 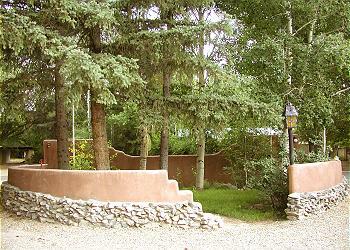 NM. 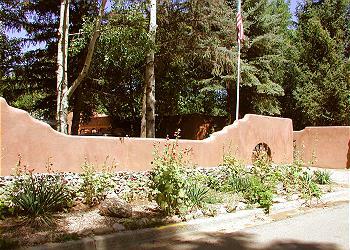 Once at the "Plaza" guests enjoy a multitude of shops, boutiques, restaurants and nearby museums. During summer months Taos Plaza comes alive with live music every Thursday evening where locals and vacationers gather for great free entertainment and it's all within walking from Casa Encantada #8. 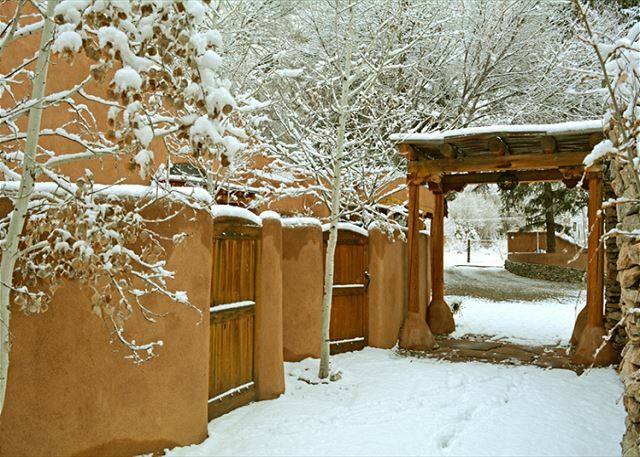 Surrounded by ancient Cottonwood shade trees and song birds, only one block away is the exclusive El Monte Sagrado Resort & Spa, with fine dining, great bar food, live music and informal dancing. 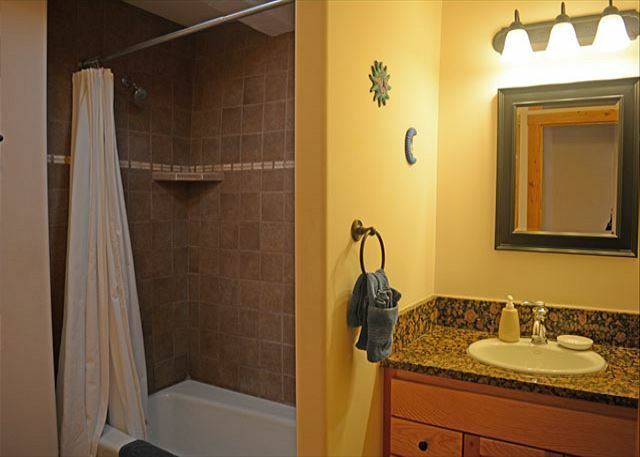 The fully equipped, upgrade modern kitchen has granite countertops, stainless steel appliances, wash/dryer, and sky lights for a light and bright food prep interior. 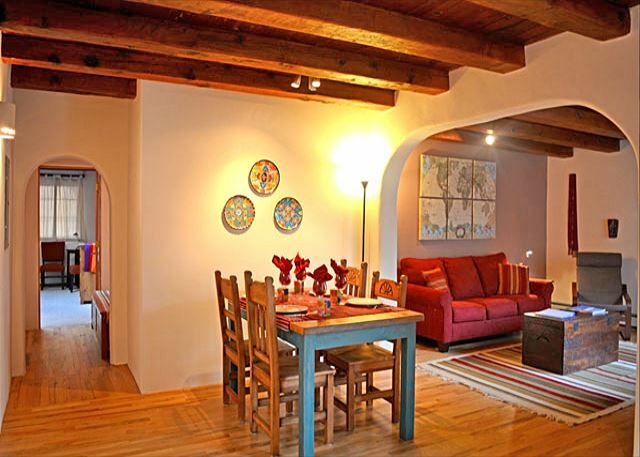 The living area with wood floors, wood burning kiva fireplace, viga ceilings, and custom stucco walls is nothing short of pure southwest ambiance and charm. 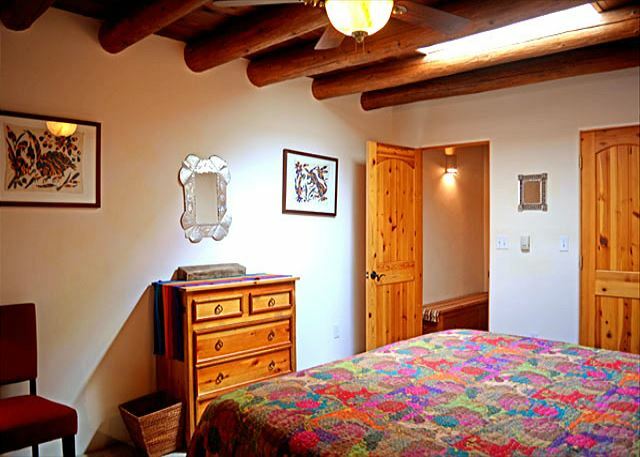 The large, yet cozy, carpeted bedroom makes for a quiet night's sleep and comes equipped with a ceiling fan, sky light and custom southwest furniture. The property is equipped with Apple TV. 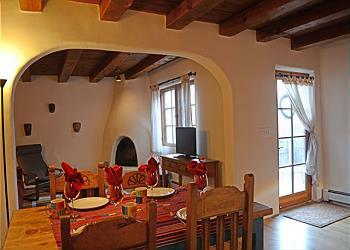 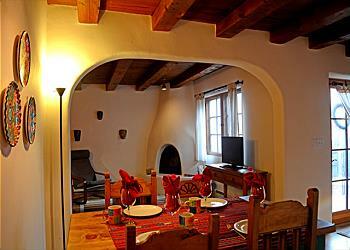 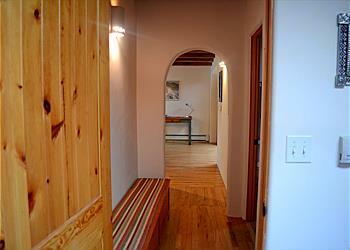 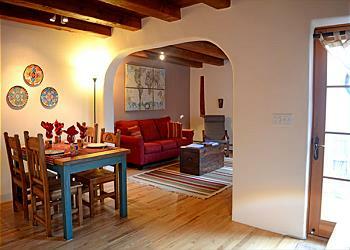 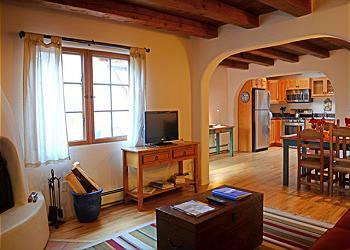 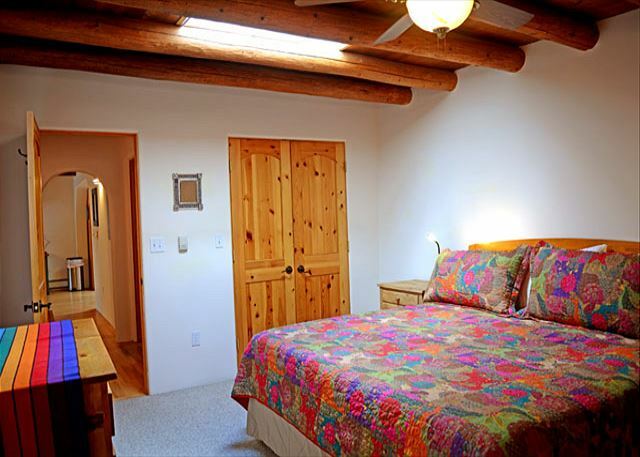 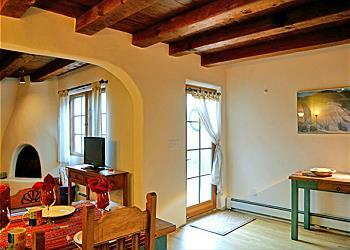 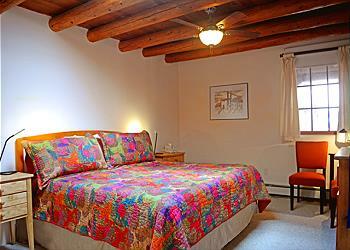 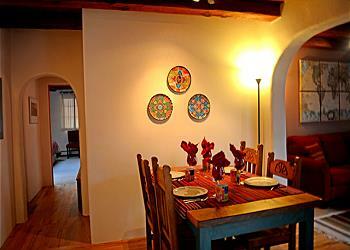 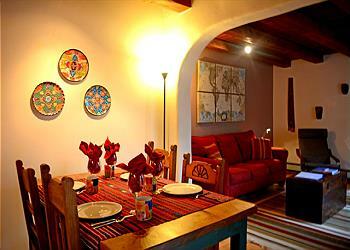 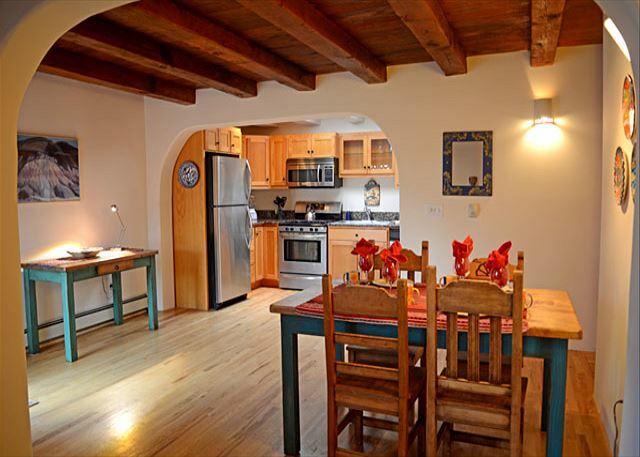 Make Casa Encantada #8 your lodging choice and enjoy southwest charm and location, location, a great "Town of Taos Getaway".